NFC World today welcomes mobile payments solution provider Dejamobile as a member of our partner program. 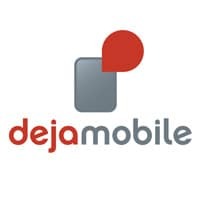 Founded in 2012 by technical experts who pioneered NFC payments at Orange Labs, Dejamobile specialises in the provision of secure mobile services, and offers a modular HCE and tokenisation solution which is fully certified by Visa and Mastercard. Dejamobile’s ReadyToTap solution has been in operation since 2014 and can be used for both secure element-based NFC payments services and cloud-based host card emulation solutions. Clients include some of the largest retail banks in France and across Europe. Card payments, access control, transport ticketing and loyalty/couponing applications can all be supported. An internal TSP module which handles both tokenisation and detokenisation of issued card credentials for use in a secure mobile environment. ReadyToTap is available as a turnkey solution for financial institutions of any size. Dejamobile’s technical experts can also be deployed to work with in-house technical teams at larger institutions to design and build customised offerings that meet clients’ specific goals and requirements. “We can supply a full end-to-end, white-label solution or we can deliver certain component parts of a solution with minimal integration effort,” Lorcan Burke, Dejamobile’s VP of business development, told NFC World. CEO Houssem Assadi previously managed Orange Labs, where he was responsible for innovative NFC and mobile payment projects such as Orange Money. He will join NFC World’s expert panel alongside Lorcan Burke and chief technology officer Ahmad Saif, who led the development and deployment of the first commercially successful NFC payment applications in Europe on behalf of Orange. Dejamobile’s experts are happy to answer questions from readers on all aspects of NFC, tokenisation, HCE, secure elements, mobile payments, customer authentication, DSP2, digital issuance and EMV.